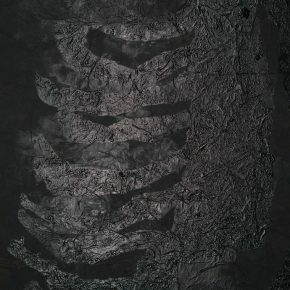 INK studio presents Earth Roots, the first systematic survey of internationally renowned artist Yang Jiechang’s One Hundred Layers of Ink series. 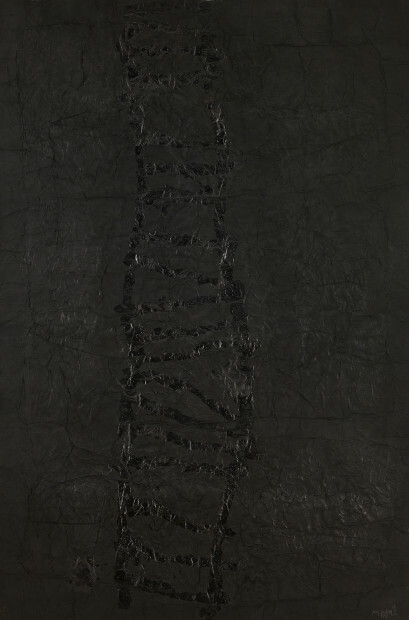 A stunning statement in its inception in 1989, the series has been extremely influential on the development of contemporary Chinese art, anticipating now-commonplace strategies like repetition, inarticulacy, traceless action, and monumentality. Earth Roots delves into the foundations of One Hundred Layers of Ink in Yang’s calligraphy and early abstractions, and traces its multifaceted evolution through the late 1980’s and 1990’s. Curated by Artistic Director Britta Erickson with the assistance of Alan Yeung, the exhibition runs from June 10 through August 12, 2017. A calligrapher since childhood, Yang Jiechang (b. 1956, Guangdong Province) graduated from the Chinese Painting Department of the Guangzhou Academy of Fine Arts in 1982. After some years teaching at his alma mater and an extended seclusion at a Daoist temple, he was selected as one of three Chinese participants in the 1989 group exhibition Les Magiciens de la Terre at the Centre Georges Pompidou. One of the most consequential and controversial events in recent art history, Magiciens sought a truly global representation and featured an equal number of Euro-American artists and artists from elsewhere. 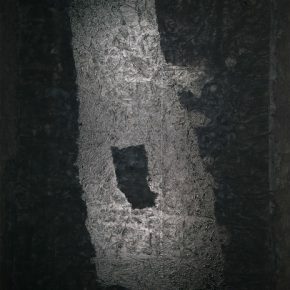 In April 1989, Yang arrived in Paris empty-handed, his works having been detained at the Chinese border, and found himself confronted in the flesh with the hegemonic canon of Western avant-garde art, which might regard his iconoclastic experimentations with calligraphic and geometric abstraction as belated or illegibly alien. He was also freed, for the first time in his life, from constraints of space and supplies. 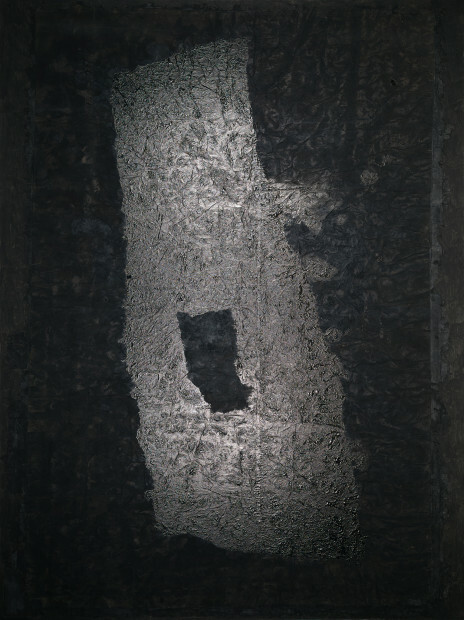 Yang responded to the unprecedented situation by turning backwards and inwards—by “advancing through retreat.” Retaining his native medium, he distilled all that he knew and experienced into a simple procedure: the repeated application of ink with a brush on paper, day after day and layer upon layer, until the fibrous surface hardened into a thick, densely textured relief with a metallic sheen. 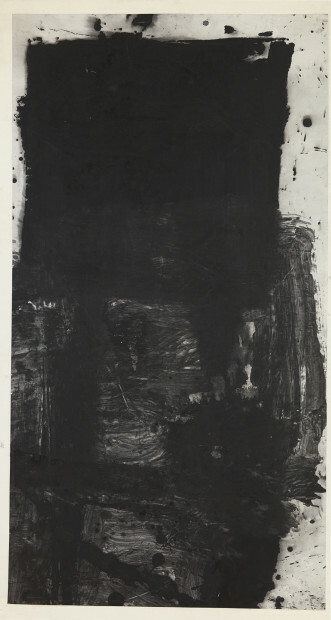 As blackness turned paradoxically luminescent, it gained the dimensions of space and time, becoming a record of his actions and being. The resultant One Hundred Layers of Ink series departed strikingly from traditional ink paintings and resembled rather color fields and other modernist idioms, but for Yang it was calligraphic practice in its bare essence, and was grounded moreover in the multilayered polychrome court painting of the Song Dynasty (960-1279). At the Pompidou, he filled an enclosed space with four colossal rectangular works, suspending them some distance from the walls. 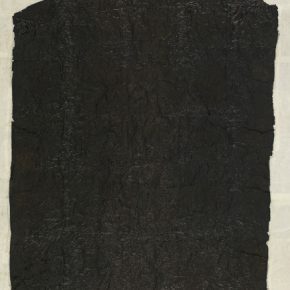 Charged with tension between meditative immersion and somatic confrontation, they evoked the ancient calligraphic steles and religious monuments that Yang had studied. He thus nullified the dualisms between traditional and contemporary, Western and non-Western in which the art world still trafficked. 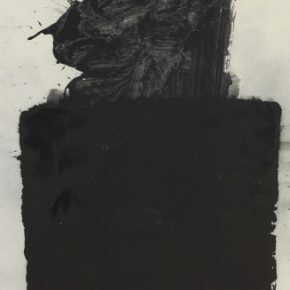 Having settled in Europe, Yang Jiechang spent much of the next decade working through the formal and affective possibilities of One Hundred Layers of Ink. 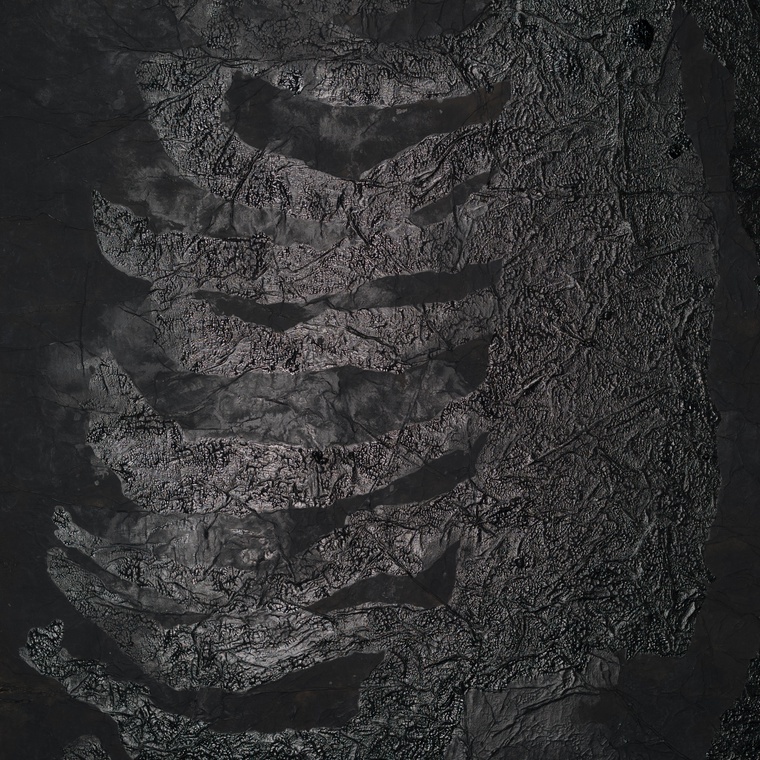 The series began to venture beyond rectilinearity into round, irregular, and organic and other representational forms. Emotive, even violent gesture resurfaced. 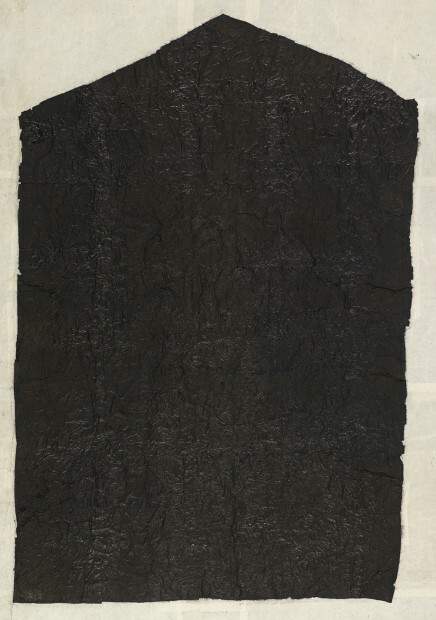 Materiality, texture, and tonality became more complex: blank xuan paper gave way to swirling and bleeding ink wash, and ink and paper themselves became components in denser topographies of canvas, gauze, glue, and alum. The relationship between “figure” and “ground” became increasingly intricate and tenuous. By title or imagery, the works began to sharpen their references—autobiographically to the artist’s memory and body, and outwardly to issues of history, politics, and religion. In many ways, One Hundred Layers of Ink mirrored Yang’s rise to global prominence as a socially-critical multidisciplinary artist during the 1990’s. 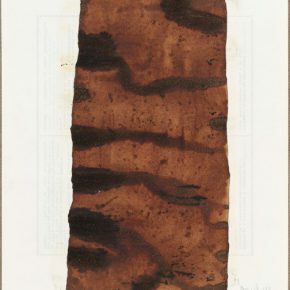 The titular work Earth Roots (1994) prefigured his reengagement with representational painting and his conceptual projects involving performance, video, and installation after 2000. 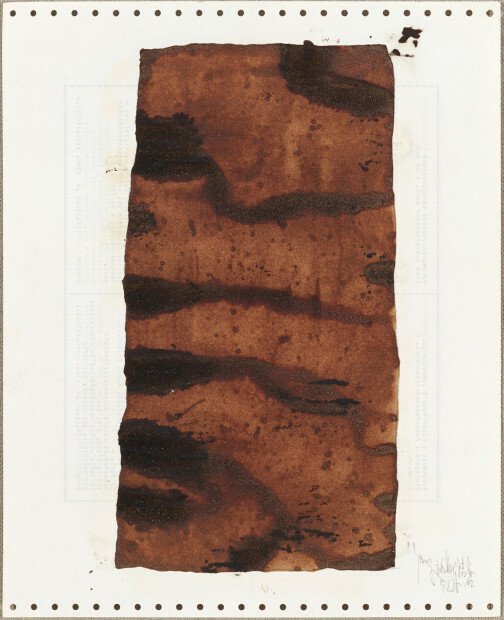 Notably, Earth Roots features Yang’s experimental ink works from the 1980’s, most of which have not survived. Insulating himself from the period’s slogans and movements, he staged his personal “new wave,” not through the wholesale embrace of Western ideas like so many of his contemporaries, but through the entrenched deconstruction of Chinese tradition. 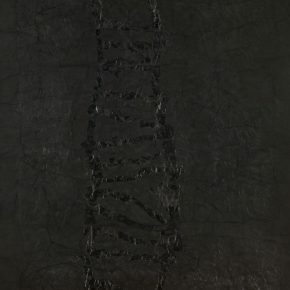 Here one finds already the salient dialectics that animate One Hundred Layers of Ink and Yang’s practice as a whole—formally between figure and ground, calligraphy and painting, representation and abstraction, and thematically between structure and subject, corporeality and spirituality, iconicity and erasure, repression and expression, debasement and transcendence. 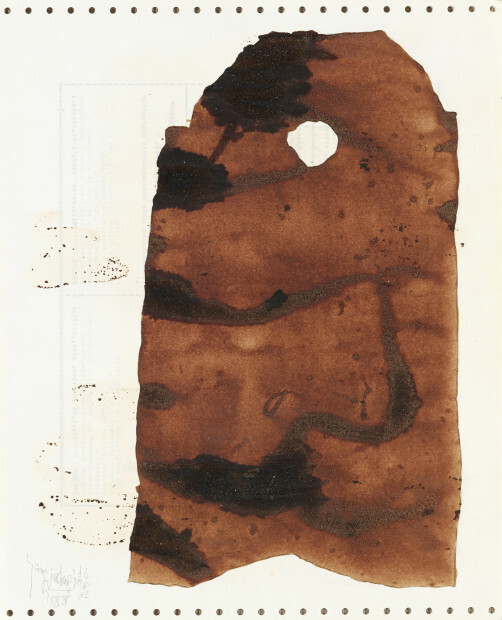 Equally precious are previously-unseen sketches that the artist made with soy sauce on wastepaper in the winter of 1988-9 in Heidelberg, where he, lacking materials and funds, had rented an unheated underground bomb shelter to use as a studio. 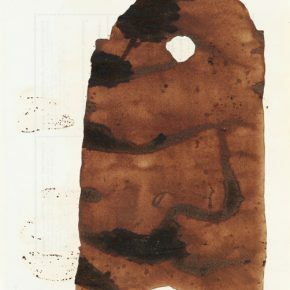 On these surfaces, crumpled and stained by the semi-absorbed liquid and scintillating with salt residue, the idea for One Hundred Layers of Ink was born. Armed with nothing but a brush, Yang set out to remake his world. 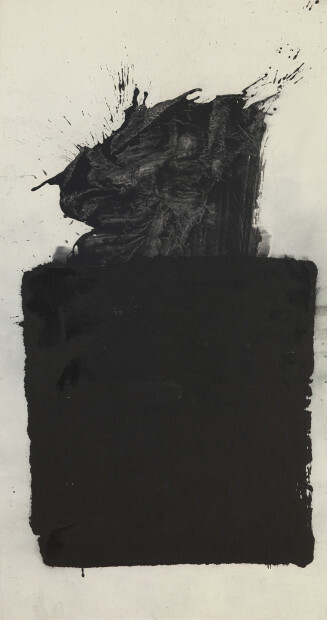 Since its Pompidou debut, One Hundred Layers of Ink has been exhibited at the Metropolitan Museum of Art, New York (2013-4); Tampere Art Museum, Tampere (2007); Museum of Modern Art, Antwerp (2004); University Museum and Art Gallery, University of Hong Kong (2001); Shanghai Biennale (2008); Museum of Modern Art, Oxford (1997); Heidelberger Kunstverein, Heidelberg (1995); Espace d’art Contemporain Le Faubourg, Strasbourg (1994); Centro Cultural De Arte Contemporaneo, Mexico City (1991); and Pourrières, France (1990). 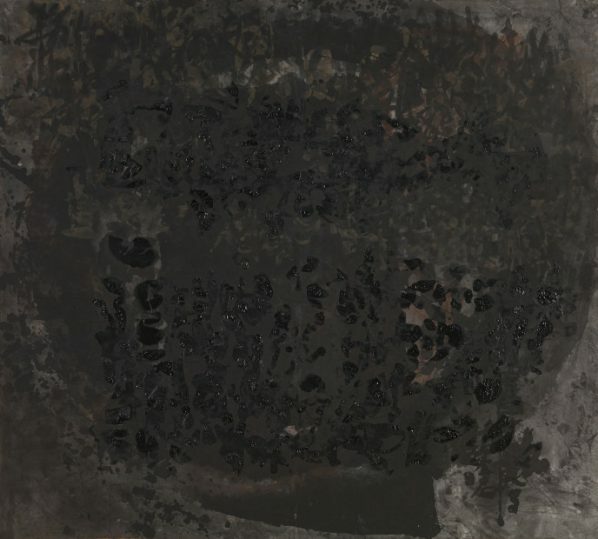 The series is in the permanent collections of the Brooklyn Museum; Cantor Center for the Arts, Stanford University; Deutsche Bank; Guggenheim Abu Dhabi; Hong Kong Museum of Art; M+, Hong Kong; and University Museum and Art Gallery, University of Hong Kong. Yang Jiechang’s other works are in the collections of Berkeley Art Museum, Berkeley; François Pinault Foundation, France; Fukuoka Art Museum; Guangdong Museum of Art, Guangzhou; Ministry of Culture, France; Rockefeller Foundation, New York; and World Bank, Washington, D.C. Courtesy of the artist and INK studio, for further information please visit www.inkstudio.com.cn. 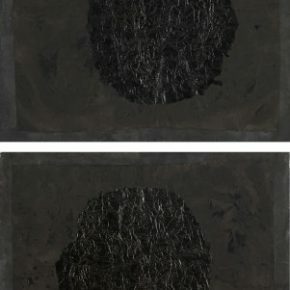 Shanghai Museum of Glass presents "Thus I Have Heard: Zheng Wenqing’s Solo Exhibition"